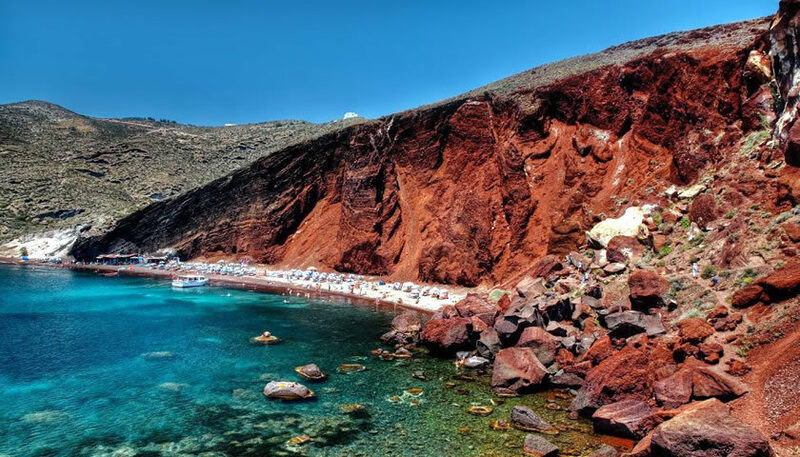 The Red beach is a unique beach and must-see when being in Santorini due to the red color of the sand, the pebbles and the cliffs that surround the bay. 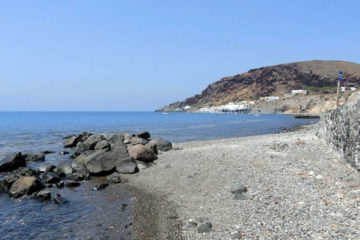 It is located at the southwest part of the island, near Akrotiri village. 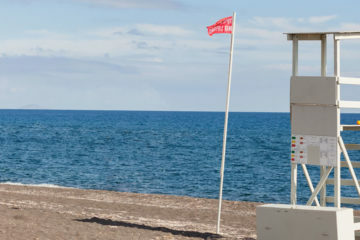 You can find sunbeds and umbrellas, while at the entrance of the beach there are canteens where you can buy drinks and food. Bear in mind that it gets crowded especially in August, so in high season you should get there early in the morning. Usually the sea is calm, even when the wind comes from the south, there are no big waves as the beach is protected in the bay. Get there early to avoid the crowds in the summer. If you choose to walk the path to the beach, wear proper shoes, hat and sunscreen! Access is possible by car or by bus, following the signs to Akrotiri until the small church of Saint Nicolas. You can park there for free and continue on foot. Note that the path to the beach is a bit steep, so it would be good to wear appropriate shoes. 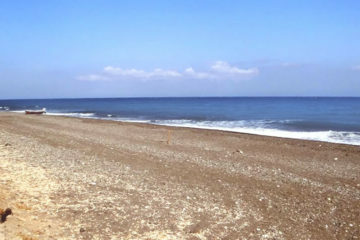 If you prefer to avoid walking, you can reach the beach by small boats which depart from Akrotiri Beach, close to Akrotiri’s archaeological site every 30 minutes during the summer period. There are also many daily cruises that take you to Red Beach as well as to White Beach and other beaches of the island.